Andrew Needles, Director, Marketing & Product Management With access to the right tools, anything is possible. Medical researchers today depend on innovative technologies to advance their research with hopes that their success may one day have a profound impact on healthcare as a whole. 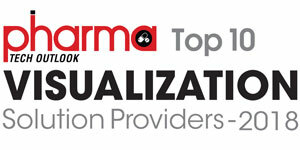 The desire to deliver the right tools to the researcher is what fuels the passion of the team at FUJIFILM VisualSonics. ‘Through bold innovation, we empower those dedicated to the advancement of human health,’ reads the purpose statement on the walls of their offices in Toronto, Canada. This phrase is the inspiration and driving force for the organization to consistently deliver the most cutting edge imaging solutions into the hands of trail blazers in medical research around the globe. FUJIFILM VisualSonics is a familiar name in the field of preclinical and clinical research, especially in the worlds of Pharma and Academia where imaging is integral to studying diseases related to cardiovascular, cancer, neurobiology and developmental biology among others. Famous for their ground-breaking micro-ultrasound and photoacoustic technology, FUJIFILM VisualSonics has had a tremendous impact on translational research by allowing users to visualize the nature of a disease like never before. In a field where researchers are looking for high resolution, in vivo imaging solutions, FUJIFILM delivers the goods with their Vevo suite of imaging solutions. Their micro-ultrasound technology operates at much higher frequencies than those commonly found in most conventional ultrasound systems - up to 70 MHz. With these very high frequencies, their unique imaging platform is able to generate images at resolutions that far exceed any other system available on the market – as small as 30 μm. This is ideal for acquiring high resolution images in small animals or for superficial imaging in the human body. VisualSonics was founded in 1999 by medical physicist Dr. Stuart Foster, a Senior Scientist at Sunnybrook Research Institute (Toronto). Dr. Foster had been involved in the development of high-frequency ultrasonic systems since 1983. By using micro-ultrasound, researchers were able to study disease progression in small animal models in vivo, in real-time, longitudinally, in a cost-efficient manner that is radiation exposure free. Dr. Foster and his team always envisioned that the technology would eventually find a home in human clinical applications. This dream was realized in January 2016 with the launch of the Vevo MD, a micro-ultrasound solution specifically designed for clinical use. The success of VisualSonics piqued the interest of SonoSite (a leader in point-of-care portable ultrasound systems) based in Bothell, Washington. In 2010, SonoSite acquired VisualSonics. Both companies were subsequently acquired by Fujifilm Holdings in 2011. 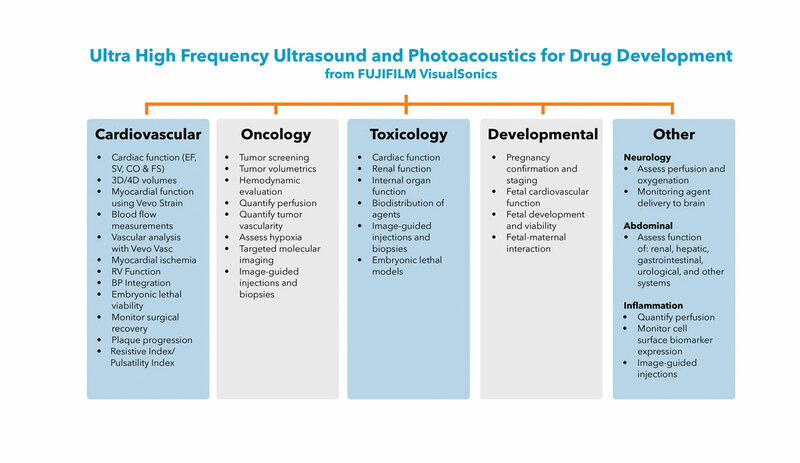 Today, FUJIFILM VisualSonics boasts an array of ultrasound and photoacoustic imaging systems for both preclinical and clinical applications. In the preclinical space, the Vevo 3100 is their flagship ultrasound imaging system, boasting a customizable touch screen control panel and Vevo HD image optimization. The Vevo LAZR-X is their most recent product offering, combining optical imaging and ultrasound in the same platform to provide anatomical, functional and molecular imaging data. For the clinical researcher, the Vevo MD is approved for human use only and is optimized for tiny anatomy and superficial structures - ideal for visualizing the first 3 cm at the highest resolution possible on any clinical ultrasound system on the market today. Clinical applications include MSK, peripheral vessels, nerves, small joint in the hands and wrist, and superficial connective tissues such as ligaments and tendons. The Vevo MD has proven especially beneficial for pediatric anaesthesiologists to visualize line placements at high resolution when operating on very tiny premature infants. With product offerings across both preclinical and clinical research spaces, FUJIFILM VisualSonics is looking ahead to the future. We asked Andrew Needles, Director, Marketing & Product Management and Site General Manager at the Toronto headquarters to explain the impact of micro-ultrasound and photoacoustics in the drug discovery and development process. “In Pharma, the use of small animal models continues to be an essential part of developing and testing new pharmaceutical drugs prior to commercialization,” he explained. “Small animal imaging is often an important step for the timely validation and commercialization of novel drug agents. Our technology helps the researcher to really understand the underlying mechanisms of conditions such as cancer, diabetes, cardiovascular, immunological and neurodegenerative diseases”. FUJIFILM VisualSonics offers researchers the tools to noninvasively monitor and quantify changes in their animal models before, during and after experimental intervention or drug administration. Longitudinal evaluations of the same animals allows more robust data to be collected from a single study. 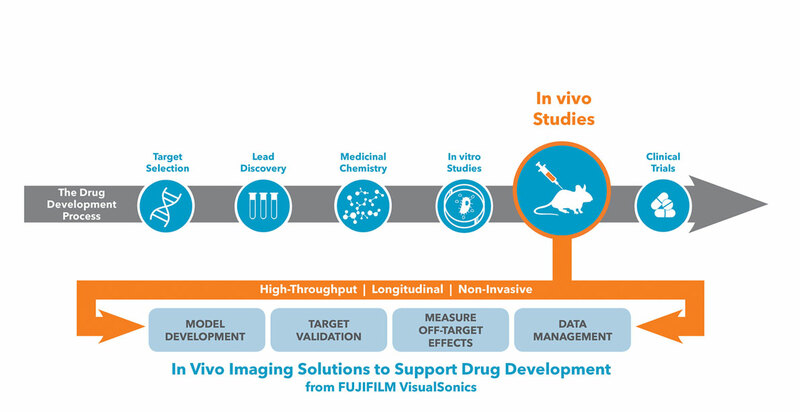 The infographic (Fig.1) illustrates how in vivo imaging solutions from FUJIFILM VisualSonics fit into the drug discovery process. 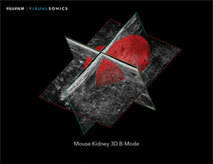 “You can find our Vevo imaging systems embedded in the top pharmaceutical and biotechnology companies as an integrated, scalable and translatable tool for human clinical trials,” Needles shared, “micro-ultrasound and photoacoustic imaging solutions from FUJIFILM VisualSonics allow for non-invasive, longitudinal monitoring suited for in vivo studies of efficacy and toxicity in the drug development process.” See a robust list of the capabilities of the Vevo imaging systems across various applications (Fig.2). A few capabilities worth highlighting for those researchers in Pharma include Auto LV, Vevo Voice and Vevo Strain. Auto LV gives the user reproducible functional data from the left ventricle with just one click! Vevo Voice allows users to control the system with voice commands, enabling them to work hands-free. Lastly, Vevo Strain allows for advanced assessment of myocardial strain, traditional LV functional parameters, and global and regional wall motion abnormalities. Changes in myocardial strain and deformation patterns often precede the onset of changes in function. All imaging done on the system can be analyzed with Vevo LAB analysis software. This package offers advanced tools for quantifying and characterizing indicators of disease. It comes ready to analyze study data in the following areas of research: oncology, cardiovascular, vascular, neurobiology and molecular imaging. Users can generate reports containing all the imaging measurements and calculations which can then be exported for further analysis in any spreadsheet or statistical analysis program. "You can find our vevo imaging systems embedded in the top pharmaceutical and biotechnology companies as an integrated, scalable and translatable tool for human clinical trials"
There is no shortage of data in research. To handle the rich and complex data produced by the Vevo imaging systems in a reliable and efficient way, FUJIFILM VisualSonics has partnered with inviCRO—a company based out of Boston that specializes in data management and image analysis. The VisualSonics iPACS package is a web-based, sophisticated, collaborative data informatics solution for Vevo users that saves time. Images, associated metadata and analysis results acquired on the Vevo imaging system can be transferred into and managed by the iPACS for data mining and aggregation into meaningful output. Users are empowered to collaborate with colleagues seamlessly in real-time through the iPACS’ web-based interface. The iPACS platform offers a wide range of functionality for the organization, allowing users to access, process, report and archive Vevo LAB image data. 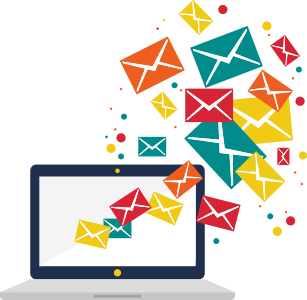 Users can streamline data, share it with internal and external collaborators securely and in real-time. In addition, reports and data may be aggregated for quality control and presentation needs using customizable report templates. FUJIFILM VisualSonics has built its reputation on delivering solutions that far exceed the expectations of their users. Innovation, Collaboration, Expertise and Leadership are the foundational pillars that support the strategic vision of the organization. “We are very optimistic about the future,” shared Needles enthusiastically. “We have exciting plans, especially for our friends in Pharma. As part of our ultrasound road-map, we have a lot of great ideas that we are looking to implement. One of the very real possibilities includes expanding the range of frequencies we currently offer. What this means is that our state-of-the-art technology will be able to image an even wider range of animal models than what’s possible today”. With innovation at the core of their DNA, FUJIFILM VisualSonics continues to push research imaging to greater heights by delivering the highest resolution ultrasound and photo acoustic imaging to those medical researchers that are leading the charge in healthcare advancements. “Everything that we do at FUJIFILM VisualSonics is really to help our customers achieve success in their research,” concluded Needles, “At the end of the day, their success translates to our success."